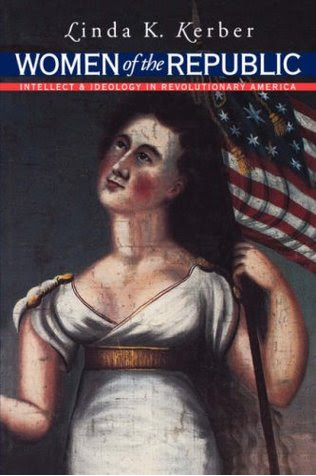 First published in 1980, Women of the Republic: Intellect and Ideology in Revolutionary America is now considered both a foundational text in the field of women’s history and a defining work for the history of early America. In this groundbreaking study of women’s letters, diaries, and legal records, Linda Kerber revealed new insights in how women exercised their rights as political beings and examined the rise of the “Republic Motherhood” ideology. From a woman’s perspective the American Revolution was a “strongly politicizing experience,” as women served the war effort as nurses, cooks, laundresses, and sometimes as soldiers and spies. In the wake of the war women found themselves in the new Republic without a clear political role and so they shifted their political energies to nurturing civic virtue in their sons and daughters. The following excerpt introduces the concept of “Republic Motherhood” and explores its lasting legacy on the American Republic.